At our thanksgiving dinner, our friend Marty brought over dessert: an awesome apple crumble and some freshly baked cookies. You would think that amongst the pumpkin pie, cheesecake and pumpkin brownies the cookies would have been an afterthought – maybe something you’d try if there was room. Wrong. These cookies are awesome! They were probably the first dessert to go. What makes them really interesting is the wave of flavours you get out of each bite. 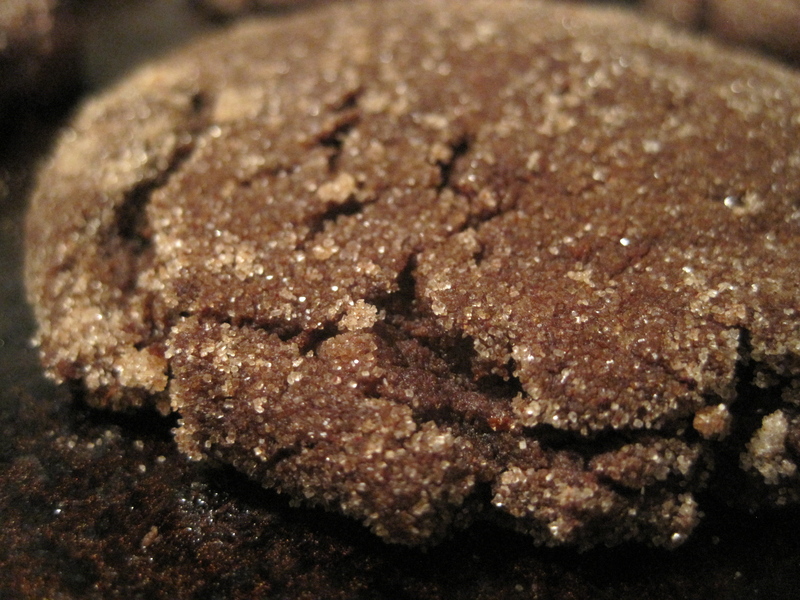 First, the cinnamon and sugar coating get you thinking “what an awesome dessert”, then the coco kicks in – not too chocolatey- but just enough to give it a rich flavor which alongside the maple syrup make the cookies super decadent. And then, while you’re trying to process all the flavours and perfect texture a little tingling starts creeping up and you realize you’ve just had a bite of something… spicy! 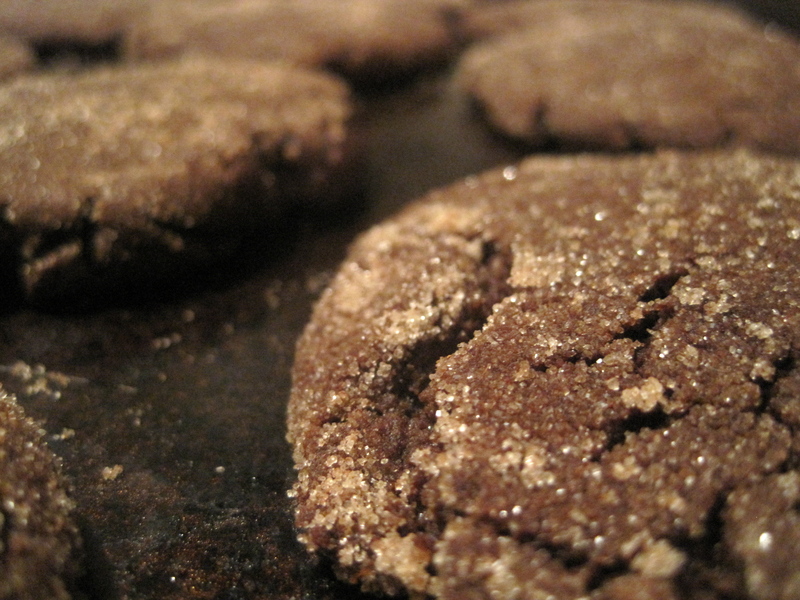 The cayenne takes these cookies to the next level and the heat lasts just long enough… it’s gone by the time you take that unavoidable next (and next, and next) bite. Wow! I am so into these!! And did I mention they’re vegan? Please go to your kitchen. Right now. And make yourself a batch. Adapted from culinary in the country. 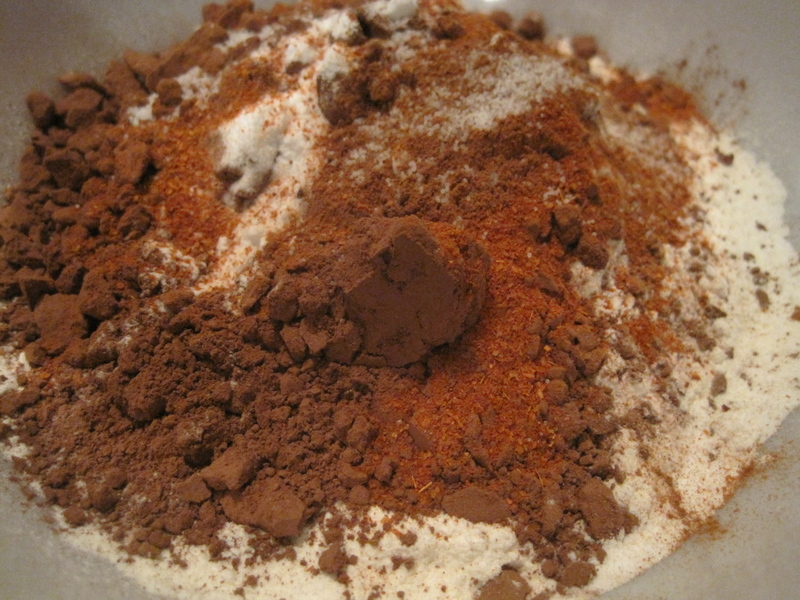 In a large bowl, mix together flour, cocoa powder, baking soda, cinnamon, cayenne and salt. In a medium bowl, whisk together oil, sugar, maple syrup, milk and vanilla. 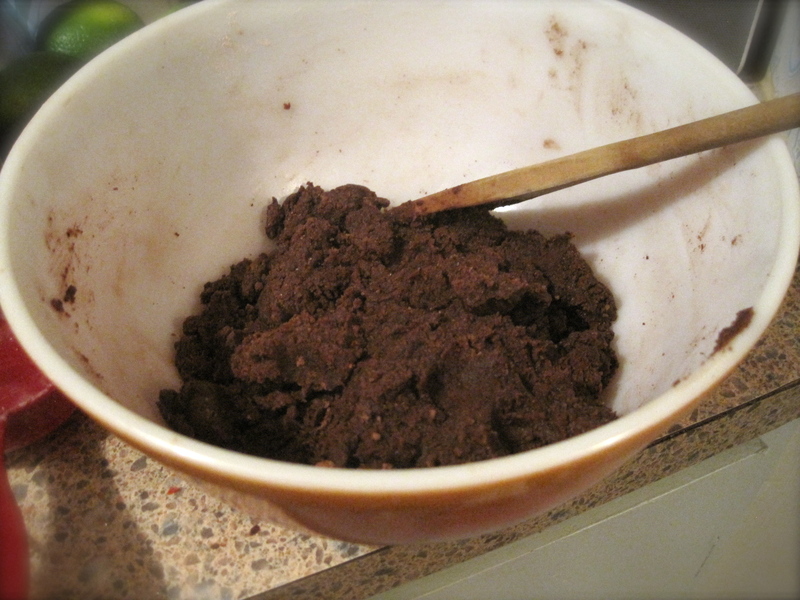 Pour mixture into the dry ingredients, stirring with a wooden spoon until combined. To prepare sugar coating, stir together sugar and cinnamon in a shallow dish. Roll dough into walnut sized balls, then gently flatten each ball into a 2″ disc. Place once side of the dough disc into the sugar coating, pressing to adhere. Place dough, sugar side up, onto baking sheets, spacing them at least 2″ apart. Place into the oven and bake until the cookies have spread and are crackly on top, about 9 to 10 minutes. 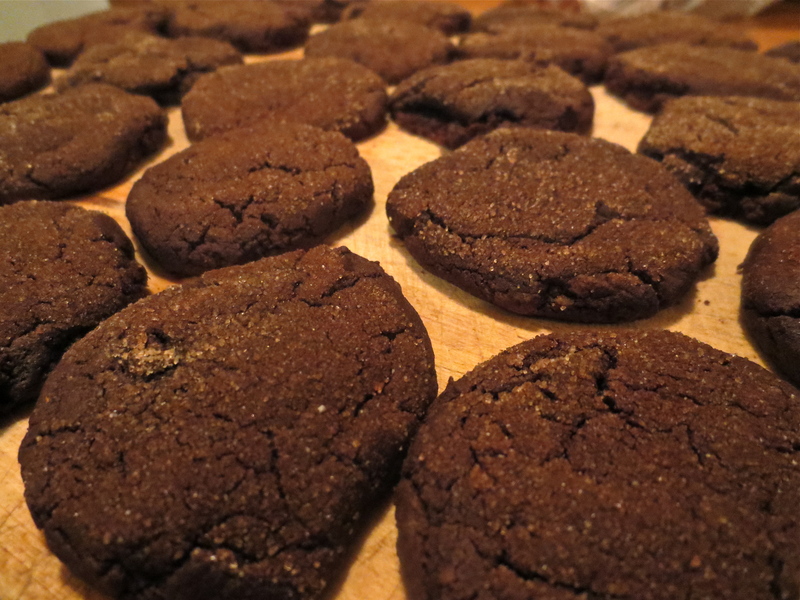 Let the cookies cool before transferring onto wire-rack to cool completely. Or if you’re me, eat them as soon as you can.